Most people want to stay in their own homes for as long as they can when they reach their elderly years. The threat of a care home is often terrifying to many, and a source of great guilt to concerned relatives who feel that they have no other choice. Live-in care is that alternative choice. While it will not suit everyone – and some people will need the additional structured care that a good residential care home can offer – it could potentially transform the lives of many others. 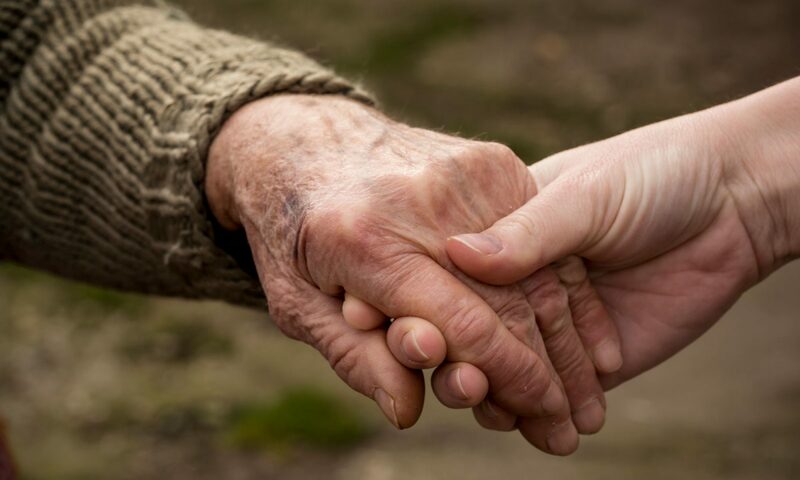 The main advantage of having a live-in carer is the dedicated one-to-one care that your loved one will receive. Many care workers are trained to deal with certain conditions, such as dementia, stroke, MS or Parkinson’s, but live-in care isn’t just about age or health issues; it’s about caring for the whole person. The carer will really get to know your relative, understanding their preferences and routines. The small things can mean a lot. For someone with dementia, for instance, having someone who knows how they like their tea can make their life much easier. A live-in carer can also manage evolving care needs. Most elderly people prefer to stay in their own home, surrounded by their possessions and memories, and in a familiar setting. This is particularly true for people with dementia who find change distressing. A live-in carer can give them the opportunity to continue living in their home for longer, with friends and neighbours nearby. This is one for both of you. You will both appreciate the peace of mind that comes from knowing someone is available to help, night and day, if there is an emergency. A live-in carer can also become a valued companion, reducing the risk of your loved one feeling isolated. Most residential and nursing homes do not allow pets, yet an elderly person’s relationship with their pet can run deep and they can be heart breaking to say goodbye to. One responsibility of a live-in carer is usually to look after, feed and exercise, a house trained docile pet. Research from the Live-In Care Hub shows people who enjoy live-in care at home suffer nearly a THIRD less falls than their care and nursing home counterparts, and a QUARTER less hip fractures. Perhaps the main benefit of live-in care is independence and dignity, with none of the restrictions associated with institutionalised care. When we get older and weaker, it’s the little things that start to mean a lot, such as the quality of food and drink we enjoy. 81% of live-in clients questioned say they get all the food and drink they like when they want, compared to 66% in residential care and just 52% of people in nursing homes. 99% of people with live-in care said they still get to do at least some of the things they value and enjoy, despite sickness and frailty. Compare that to 11.6% of people in nursing homes who say they NEVER do anything they enjoy with their time. 15% of people in nursing homes complain that they have no control over their daily lives. The same goes for 4.6% of people in residential care, and just 3% of live-in care clients. Less pressure on you and other relatives: You don’t have to become your loved one’s carer, but can instead maintain your relationship as part of the family. More freedom: If your relative can still travel, a live-in carer may be able to go with them abroad, enabling them to keep travelling for longer. Hiring a live-in carer can be significantly cheaper than residential homes for couples, and allows them to stay together. If your father has dementia, for instance, he and your mother may be separated in residential care. As the name suggests, a live-in carer is going to be spending a lot of time with your loved one. As well as personality matches, you will want to find the right carer or care team who is properly trained and can deal sympathetically with your relatives’ needs. This can be a big task, especially if your loved one has demanding or complex medical needs. The good news is that a good care agency will usually source carers with appropriate experience and training. Live-in care may not be the right choice for everyone. If your elderly father has severe health or care needs, for instance, he may need to live in a dedicated establishment that can specifically cater to his needs. Not everyone is comfortable with having a stranger live in their home. Someone else will be using their kitchen, bathroom and living space, for instance, and your loved one may feel that they never have any privacy. Couples too may find it intrusive to have someone else in their space. While a great many people swear they never want to enter a residential home, such homes can offer a wider social world, allowing your loved one to be in constant contact with others. Of course, a live-in care worker can become a valued companion too and will help your loved one socialise where possible. A live-in carer will live with your loved one full-time but will still need holidays and breaks away to spend time with their own families. If you engage the care worker via an agency or full managed service, the provider will usually organise the short-term cover needed. If you source a live-in carer privately, you will need to find a way to fill the gap. Either way, there will be a change in personnel which your relative may find jarring. As you can imagine, having a live-in carer on call 24/7 doesn’t come cheap. Prices vary from region to region, and will be more expensive to recruit via an agency, but typical costs can be anywhere from £700 [ii]to -£1,500[iii] a week. Depending on eligibility, some live-in care fees may be paid for by the state and costs could still be lower than the price of a residential home. This is especially true for couples who would have to pay twice over for a care home. If you decide you want to find your own live-in carer which can be cheaper, you should be aware that it comes with additional responsibilities. You will have to perform DBS checks, follow up references and work history. Once you hire someone, you or your loved one will have to pay your employee, sort out their tax and National Insurance contributions, and provide some form of pension. These additional responsibilities can be avoided if you use an agency to find the carer for you.